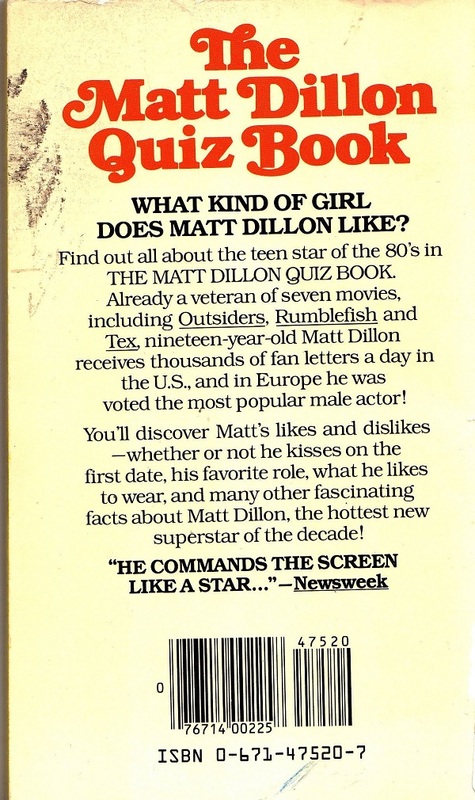 Now everyone can be ready when you are faced with Matt Dillon questions. 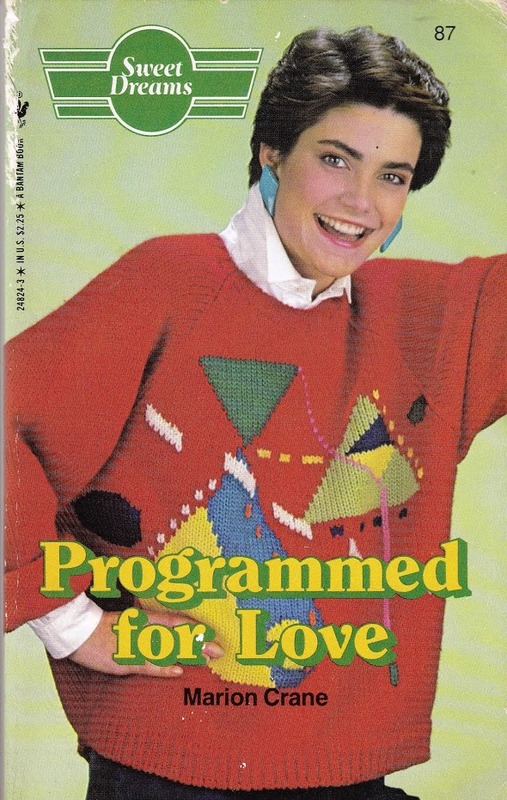 This might be my favourite book you’ve posted yet, and I’ve read your entire archive! So much comedy gold here…. Why is “Unauthorized- based on a teenage fan’s scrapbook” a good selling point? Why do we need to know that he thought SE Hinton was a man? Not really something to be proud of? Why the insistence that he’s just a regular guy? Why are the answers to the quiz right under the questions, instead of at the end? Matt hates broccoli. Wow, they sure made him spill his guts. 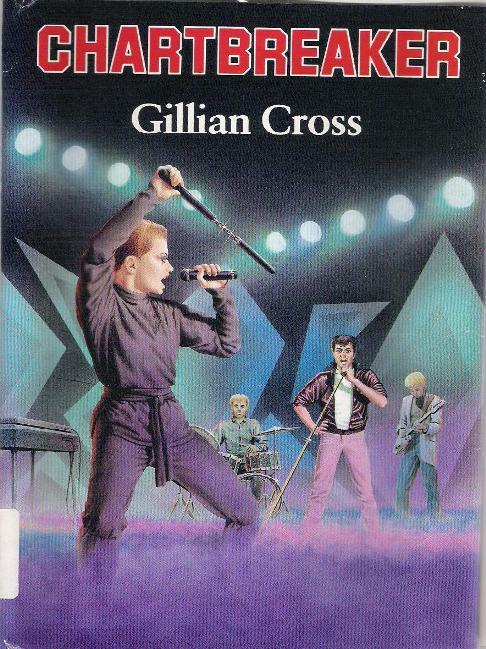 Saying the book is “unauthorized” and “from a fan” gives the impression that someone just like YOU wrote it, instead of it all being made up by Matt Dillon’s PR agency, which is probably where the material really came from. Stars need to be seen as “regular people” so fans can relate to them. And the answers are under each question because the readers can’t wait to find out if they are a Matt Dillon type of girl! I ate up stuff like this about the Jackson 5 when I was a girl! 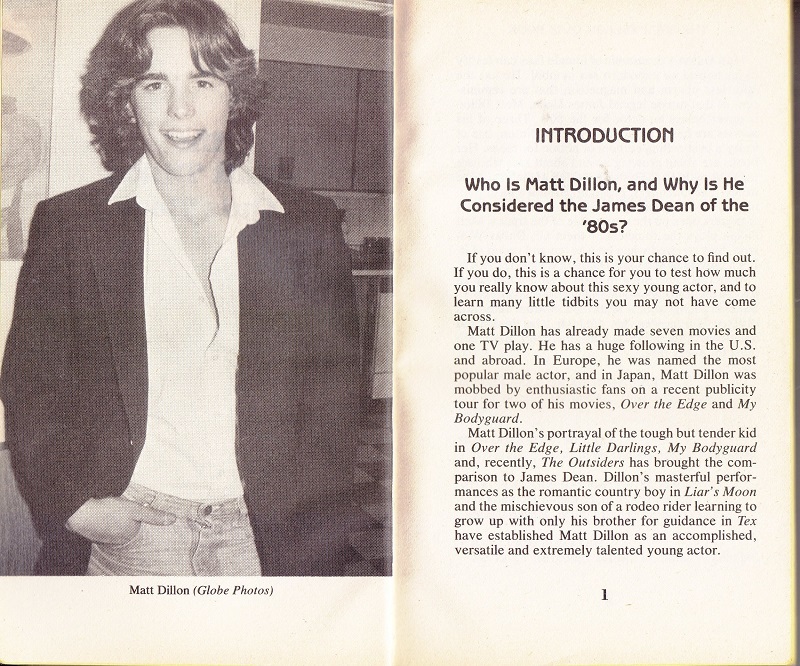 I don’t even know who Matt Dillon is (was?). And until today I thought S.E. was a man too. I used to think SE Hinton was a man because her male characters had a lot more personality than her female ones, for what it’s worth. I love the fact that they keep using his full name… What are Matt Dillon’s least favorite subjects? 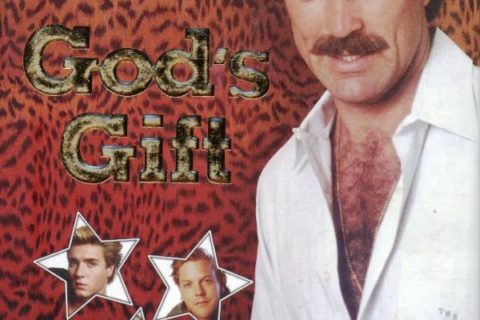 Has Matt Dillon ever been in love? Do they think that we might get confused with someone else named Matt if they don’t spell it out? I don’t remember who the James Dean of the ’80s was, but it wasn’t Matt Dillon. And Brooke Shields is now doing La-Z-Boy commercials. I know that, growing up with the Outsiders, (circa 1994-97), I found myself amused when I realized that he played a cop in the Pogues’ Fairy Tale of NY. I’m also 33, so my exposure was through older friends.